In the second week of school I have my students complete a Perfect Body Lab (that title really gets their attention). 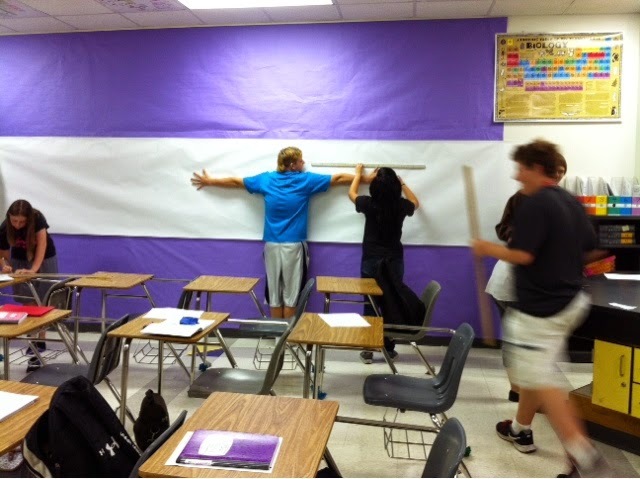 The students accompllish two goals with this lab: measuring in metric and graphing on paper. First I show the students Leonardo da Vinci's Vitruvian Man, and ask what information we are supposed to be able to get from the art. 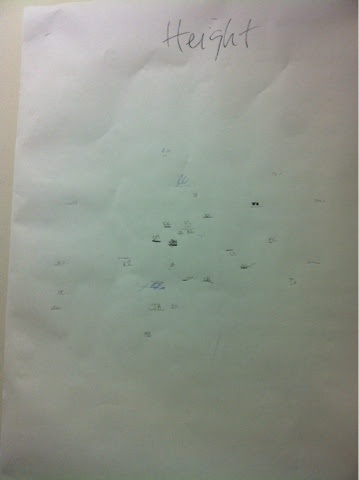 I put up a lot of paper for the students to measure and mark on. It is important to have the students write their initial my their marks in case their numbers seem wonky. Then the students input their measurements into an excel file. Once all data has been entered, I print the page and the graphing begins. I teach 50-55minute periods everyday. This is best split between two days. It always takes them longer to graph that it seems like it should. 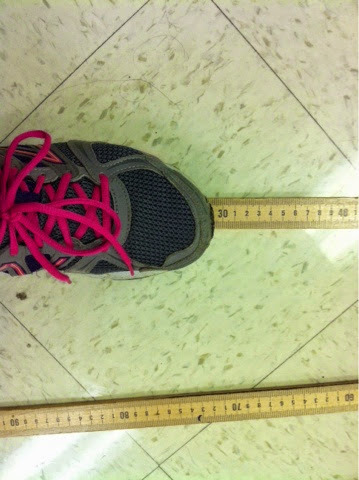 It is possible to set up the graphs after measuring. We compare height and arm length on one graph and height and foot length on another. These two graphs are both on one sheet on paper that we fold in half and add to an A-side in our interactive notebook. The B side is the data. Next week we use this data and the graphs to begin writing conclusions.